Residential Pest Control Service in Carmel, CA and Surrounding Areas | Ailing House Pest Management, Inc.
At Ailing House Pest Management, Inc., we take our commitment to protecting you, your family, and your home very seriously. That’s why we use only the most advanced, effective treatment options to manage your pest control problems along with providing exceptional service. We know your home is your most valuable investment and that your time is precious. With same day service and a team of highly-experienced, licensed technicians, we offer you peace of mind and convenience that you can count on. 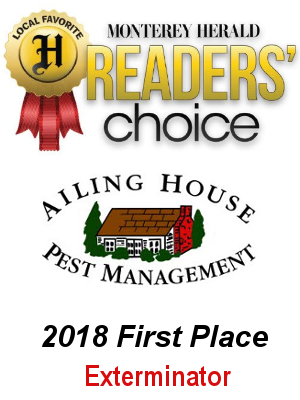 When you dial Ailing House Pest Management, Inc., you’re calling a locally-owned and operated business that is committed to serving the community we live and work in. We understand the challenges homeowners face when it comes to pest control and know what it takes to keep a property pest-free. Every Ailing House technician is carefully screened, background checked, trained, and licensed. You can be confident that you’re getting a true professional to your home who will take the time and care to identify the problem and explain treatment options, pricing, and the best options for your situation. We service single family homes, as well as apartments, condos, townhouses, vacation homes, guest cottages, and more. Call us to learn about our home pest control service protection plan to prevent future pests from invading your home and property. 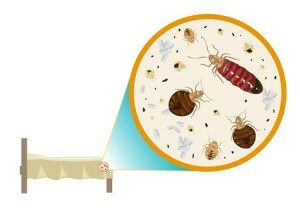 Why Call Ailing House Pest Management, Inc.? “30-Minute Window” appointment scheduling with on time service. Protect your home, family, and pets from stinging, flying, crawling, and property-damaging pests. When you have an infestation, we’re here to help. Don’t wait for the problem to get worse. Give us a call for same day pest control service at the first sign of a pest issue. Our commitment to you is to keep your home free from pest infestation. Call us today at 831-624-8211 for a free inspection and estimate.